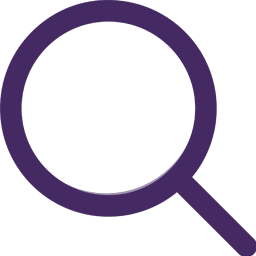 Sonya Winner Studio is a designer rug studio based in London but shipping worldwide that specializes in Vibrant Contemporary rugs that transform space with their unique form and colour combinations. of over 30 designs available in a variety of sizes, some of which can also be customized in shape, proportion and colour; most of our popular designs are held in stock for immediate delivery. Sonya also takes on a limited number of bespoke commissions each year which are a collaborative creative process with her clients, resulting in exclusive art pieces for the floor or wall – this creative process is always an exciting journey of experimentation for both the designer and client. The core ethos of the studio is the creation of quality rugs that are much more than just a floor covering: they are transformational floor art. “I started designing rugs simply to make people happy! I was thrilled to discover that the juxtaposition of vibrant colours and bold shapes within the designs I created added something magical to a room that people loved. I was hugely encouraged by winning an Elle Decoration award for my first rug: this, along with the huge amount of positive feedback and orders from around the world when I exhibited at my first rug designs at the London Design Festival 2011 made me decide to devote my career to rug design. It’s now 7 years since our first rugs were launched and our delighted customers have sent back hundreds of testimonials describing our rugs as beautiful and timeless designs that transform space making a room feel cozy, welcoming and warm. Many have also noted that due to the dense weaving and thick natural New Zealand wool fibres our rugs have the added bonus of helping with acoustics by soaking up sound. It’s so wonderful that our customers really appreciate the designs and the quality of the materials and workmanship that goes into creating our rugs. 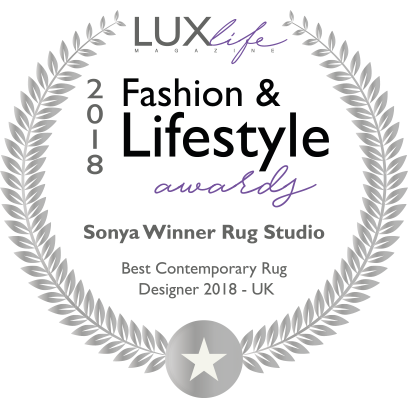 Ultimately, having achieved many award over the past twelve months, Sonya Winner Rug Studio has a bright future ahead of it, as Sonya is happy to conclude.